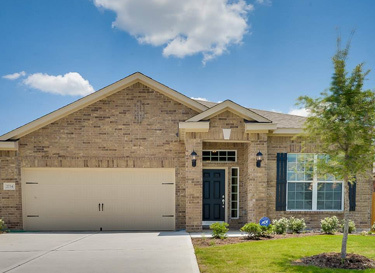 We’re excited to announce our newest community in Kingwood, Texas; North Kingwood Forest! This idyllic community is situated in the center of a highly-woooded area, offering residents the serenity of natural scenery while providing easy access to nearby shopping, dining and recreation opportunities – as well as a quick commute to nearby cities. With homes starting as low as $729 per month, you’ll be hard pressed to find a more affordable new home community! North Kingwood Forest is just 20 minutes from downtown Houston, making it ideal for commuters who need to travel downtown for work. It’s also a short drive from Lake Houston, Lake Houston Wilderness Park, Bush Intercontinental Airport and countless golf course greens, making it perfect for outdoor lovers, travelers and golf enthusiasts alike! It’s also situated amongst Humble ISD’s best schools, so it’s the perfect place for families with school-aged children to live. 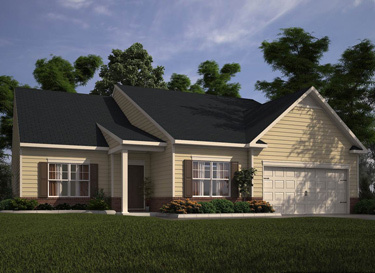 We designed the homes in North Kingwood Forest to include spacious and functional floor plans that can accommodates families of all shapes and sizes. 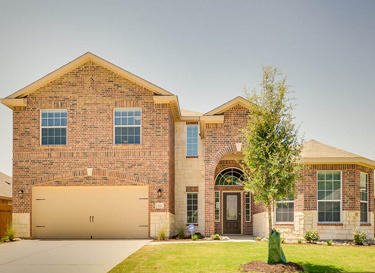 Within the neighborhood you’ll find 3, 4 and 5 bedroom floor plans to choose from. All homes come complete with a fully-fenced backyard for added space and extra privacy, as well as a 2-car garage and a utility room. Our homes are nestled on top of over-sized lots, providing plenty of space for your children and pets to play. Best of all, we’ve included over $10,000 upgrades in every home in the community – at no extra cost to our buyers! That’s right, for no additional out of pocket cost, your brand new home in North Kingwood Forest will contain energy-efficient appliances, custom cabinets, raised two-panel doors, brushed nickel hardware and fixtures, ceramic tile, a covered patio and much, much more! 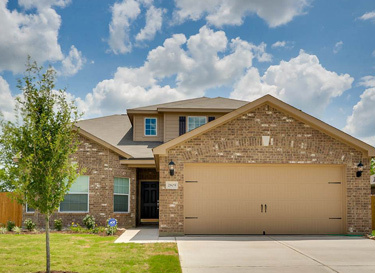 In addition to these amenities, all homes in North Kingwood Forest feature stunning front yard landscaping, and are subject to quality deed restrictions and our comprehensive home warranty program. To learn more about North Kingwood Forest and to get started on the road to homeownership, give us a call today! We offer a variety of resources to help peoples’ dreams of homeownership become a reality, and we’ll be here to offer assistance and support through every step of your homebuying journey. At these prices and in this location, homes in North Kingwood Forest are sure to sell out fast, so don’t let this once-in-a-lifetime opportunity pass you by! Earlier this year, we announced that we would be branching out and expanding to the great state of Georgia. Today, we’re thrilled to introduce one of the brand new communities we’ve designed in Atlanta! We’re proud of our brand new Maple Park community, and we can’t wait to start helping Georgia residents’ dreams of homeownership become a reality! With homes in Maple Park starting at just $749 per month, owning your own home in the Atlanta area could cost less than you currently pay in rent! Maple Park continues our commitment to superior quality and affordability, as well as our vision of building neighborhoods in highly desirable areas just outside the bustle of major metropolitan cities. Maple Leaf is located on the Northeast side of Atlanta, and is situated within minutes of some of Gainesville’s top attractions – as well as shopping, dining and recreation opportunities! Just a short drive away you’ll find Lake Lanier, the Gwinnet Braves Stadium and the Mall of Georgia, just to name a few! If you work downtown, you’ll love the short and convenient commute to the heart of the city that Maple Park provides. We designed Maple Park with families in mind, and you’ll find a variety of 3, 4 and 5 bedroom floorplans to choose from – making it easy to find the right fit for your family. 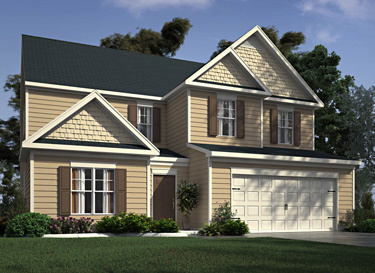 All floor plans are spacious and functional, and all homes contain over $10,000 in upgrades at no extra cost to buyers! These upgrades add to the value of your new home without causing you to break the bank! Just a few of the notable upgrades you’ll find in a Maple Park home include quality appliances, upgraded hardware and fixtures, raised six-panel doors, granite countertops and custom cabinets. Additionally, all homes include a fully-fenced backyard, a utility room and a 2-car garage. Truly, no other home builder in Atlanta offers so many features at such a small cost. Around the neighborhood, you’ll find even more reasons you’ll want to call Maple Park “home.” All homes feature stunning front yard landscaping, so you’ll love taking in the sights as you walk around the community. Additionally, there’s a children’s playground that’s the perfect place to spend some quality time with your little ones, as well as picnic and barbecue areas that are ideal for hosting celebrations, parties and neighborhood get-togethers. To learn more about Maple Park and to get started on your journey toward home ownership, give us a call today! We offer a variety of resources to help aspiring homeowners throughout the entire home buying process, and we’ll offer assistance and support every step of the way. With these low prices and this ideal location, homes in Maple Park will likely sell out fast, so don’t delay! We’re excited to announce the grand opening of one of the newest additions to the LGI Homes family of communities; Maple Leaf! 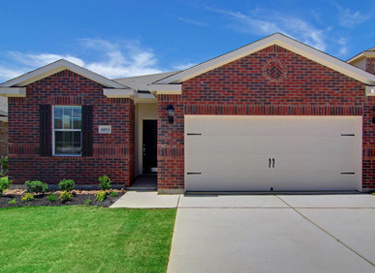 Nestled Justin the heart of Denton, Texas (just north of Dallas/Fort Worth), Maple Leaf is the perfect place to call “home.” And with brand new, single-family homes starting at just $799, you may possibly find the home of your dreams for less than you’re paying in rent! From the moment you enter this luxurious, family-friendly community, you’ll see what makes Maple Leaf so special. In keeping with our commitment to superior quality, we’ve spared no expense and we’ve made a point to design these homes with comfort, functionality and safety in mind. Maple Leaf offers aspiring home owners several different 3 and 4 bedroom, 2 to 3.5 bathroom floor plans to choose from – all complete with a fully-fenced backyard and a 2-car garage. Best of all, our Maple Leaf homes are all set atop over-sized lots, providing plenty of space for your family to roam as well as extra privacy among neighbors. We’re sure you’ll be impressed by the contemporary – yet timeless – exteriors of these houses, and once you step through the front door, you’ll be greeted by countless more reasons to fall in love. We’ve included over $15,000 worth of upgrades in every home in the neighborhood – all at no extra cost to our buyers! Just a few of the upgraded features you can look forward to having in your new home include quality appliances, granite countertops, custom-made cabinets, raised six-panel doors, upgraded hardware and light fixtures, and a utility room. Once you venture out outside of the community, you’ll find that Maple Leaf truly puts you in the center of it all. Situated near the heart of downtown Denton right off I-35E, Maple Leaf provides easy access to the best of everything the Dallas/Fort Worth area has to offer. Whether you’re looking to spend a day at the Lewisville Lake, take in the excitement of the North Texas State Fair and Rodeo or indulge in some retail therapy downtown, you’ll find that Maple Leaf puts you within minutes of countless attractions, as well as shopping, dining and recreation opportunities. 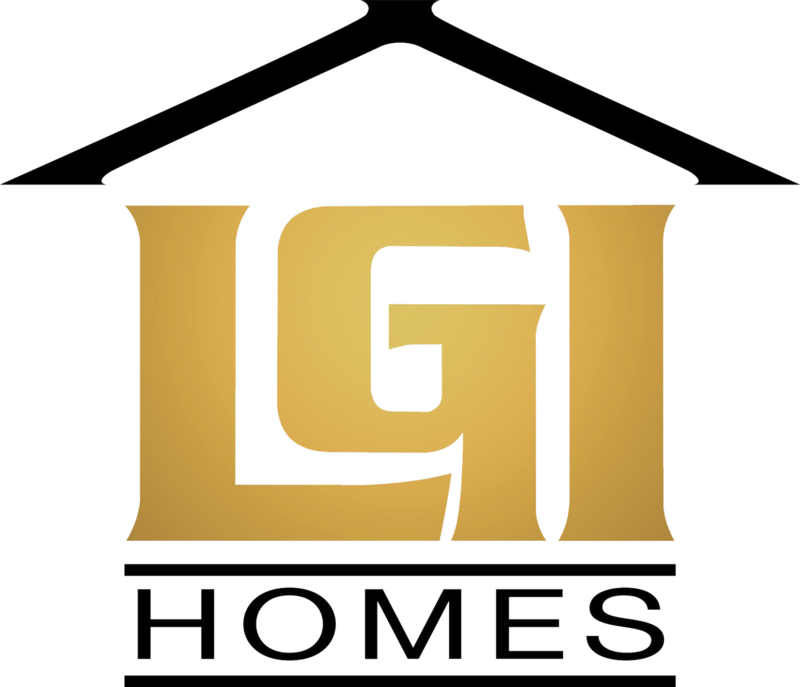 At LGI Homes, we’re committed to helping peoples’ dreams of homeownership a reality, and we’re excited to help make your own home buying dreams come true! To learn more about our Maple Leaf community and to see how we can get you out of your rental and into a home of your own, give us a call! Due to it’s idyllic location and our affordable prices, homes in Maple Leaf are sure to sell out fast, so don’t let this once-in-a-lifetime opportunity pass you by! We were excited earlier this year when we announced we would be expanding the LGI Homes family to the great state of Georgia, and today, we’re thrilled to introduce one of the brand new communities we’ve designed in Atlanta! We’re sure you’ll find no shortage of reason to fall in love with of our brand new Avondale Springs community. This picturesque neighborhood offers homes as low as $749 per month, so owning your own home in the Atlanta area could cost less than you currently pay in rent! Nestled just East of Atlanta, Avondale Springs offers the perfect balance of city living and country charm that we know many Georgia residents are craving. You’ll love the short commute the neighborhood offers to the heart of the city, while also enjoying the stunning and tranquil scenery surrounding the community. Avondale Springs puts you in the center of the best of everything Atlanta has to offer. Within minutes of the neighborhood you’ll find no shortage of attractions, shopping, dining and recreation opportunities. The Mall at Stonecrest is just a quick drive away from Avondale Springs, and so is the Georgia International Horse Park for our outdoor loving residents. 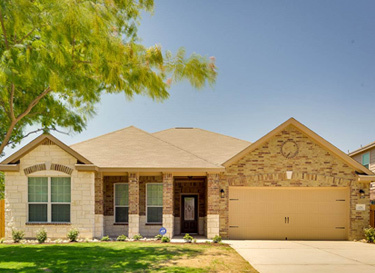 Avondale Springs was designed with a fun, family-friendly atmosphere in mind, and you’ll find a variety of 3, 4 and 5 bedroom floor plans to choose from – making it easy to find the right fit for your family. All floor plans are spacious and functional, and all homes contain over $10,000 in upgrades at no extra cost to you! These upgrades add to the value of your new home without making you break the bank! Just a few of the notable upgrades you’ll find in an Avondale Springs home include quality appliances, upgraded hardware and fixtures, raised six-panel doors, granite countertops and custom cabinets. Additionally, all homes include a fully-fenced backyard, a utility room and a 2-car garage. 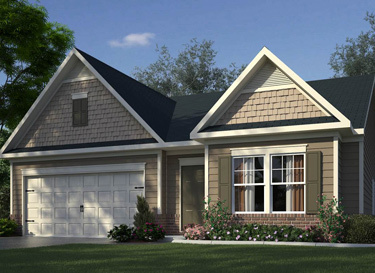 Truly, no other home builder in Atlanta offers so many features at such a small cost. After you step outside your front door and begin to explore the neighborhood, you’ll find no shortage of fun and exciting community amenities for the entire family to enjoy. Avondale Springs includes a swimming pool to help you beat the heat in the summer, as well as a cabana for spending time in the shade. There’s also a tennis court, a children’s playground, a neighborhood pond and a picnic and barbecue area. You don’t have to leave the community to have a good time, because we’ve included something for everyone! To learn more about Avondale Springs and to get started on your journey toward home ownership, give us a call today! We offer a variety of resources to help aspiring homeowners throughout the entire home buying process, and we’ll offer assistance and support every step of the way. 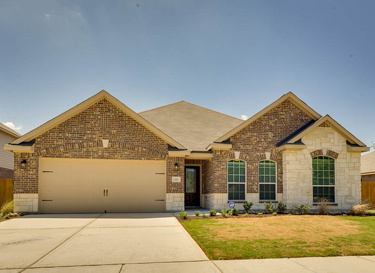 Homes in Avondale Springs are sure to sell out fast, so don’t delay!